When it comes to raising your rates, you’d be surprised at how much a few simple words may be costing you. If you’re selling services online, you must understand that words rule the web, whether you like it or not. And since you need to be able to convey to a multitude of potential clients why you are worth your price, it pays to to know a little about copywriting—the art of writing words that sell. If you’re a design guy/gal and your eyes are starting to glaze over, fear not: great copy mostly hinges on your ability to understand what your customers want. No matter what service you provide, that’s information you can always use more of. One of the biggest mistakes that freelancers make when assembling their copy is that they use themselves (or other freelancers) as the main audience. In other words, they construct messages that showcase their technical skill, rather than speaking to what ‘pain’ the customer currently has. This results in misaligned motivations where the freelancer and the potential client aren’t speaking the same language. Consider this: You want to buy a new shiny red sports car. You’re in your 40s, your hair is thinning, and you want to look awesome in a new sports car. So you pull up to the car dealership in your beat-up Toyota Camry and flag down someone in sales. There’s a conflict of interest. You want to impress girls twenty years your junior; she wants to tell you about the features of the car and the manufacturing processes that her company employs. It’s okay to speak to your technical prowess and extensive knowledge in your field… after you’ve made your case for how you can solve the client’s problem. Thus, your homepage should contain copy that clearly explains how you can create a branding solution that will help them stand out from the crowd, and further down the line you can highlight your lengthy experience with multiple graphics programs. Instead of describing the process, focus on the outcome. If you treat your services like a commodity, that’s how you can expect to be treated in return. If you focus on value, your rates become based on the problems you can solve, rather than the ‘package’ the client is getting. Do you think Versace cares what ‘The Gap’ is charging for their T-Shirts? Then why should you waste your precious real-estate justifying your prices by comparing yourself to this or that alternative? A fatal mistake that many freelancers fall victim to when setting their rates is making comparisons with their competition… yet I constantly see it happening. You may wonder why I reguarly harp on positioning yourself for premium prices, and there’s a simple reason: while The Gap may outperform Versace in the long run via mass production, you are one person (or a small team). To maximize your returns, you have to focus on providing a premium service, as you can’t ‘mass produce’ your way to success if it’s just you doing the work. Never drawing price comparisons with others. Focusing on going the extra mile instead of competing over bottom dollar rates. Understanding what premium clients want and what they don’t care about. I’m always picking on “freelance writers” who use that term when trying to land clients who actually want ‘content marketing’ services, because they are removing themselves from the race before they even begin. Instead of focusing on how reasonable their freelance rates are (comparative pricing), they should be positioning themselves as a content creator that knows how to produce content that gets results (value-based pricing). This one takes some thought, but it’s well worth the effort. When writing copy for prospective clients, using very specific, highly personal words can result in people tripping over themselves to hire you. In a nutshell is can be described as the “That’s exactly what I mean!” effect, or taking the words right out of a prospect’s mouth. When you use the same words that they do, you are subtly proving that you ‘get‘ the client’s problem. The best moments in reading are when you come across something—a thought, a feeling, a way of looking at things—that you’d thought special, particular to you. And here it is, set down by someone else, a person you’ve never met. And it’s as if a hand has come out and taken yours. Grandiose, yet very pertinent to how you write your copy. You can harp all day long about ‘increasing traffic and conversions,’ but deep down that’s not what people are really saying to themselves if they need marketing help. They feel like nobody is paying attention even when they’ve poured their heart and soul into their product! This strategy requires paying close attention to current customers and sincere practice putting yourself in your client’s shoes, but it’s really the #1 rule to good copywriting: active, detailed listening. So don’t just jump to the first buzzwords that come to mind, sit and and think about how your client’s express their problems in their heads (not out loud), as that is the language that will truly resonate with them. Knowing your clients is so important I had to mention it twice! This time though, I’m specifically referring to those freelancers who offer a couple of different services. If that’s the case, you need to tailor your copy to each of these ideal customers. A few weeks ago I outlined a simple customer profile template that you can use to create an easy-to-use ‘dossier’ on your typical clients, so you can really understand their biggest problems and what they need from you. Why is my client looking for a service like mine? Where does this client frequent? Great things to know, but they become even more important if you have multiple services (let’s say you offer web design and graphic design). 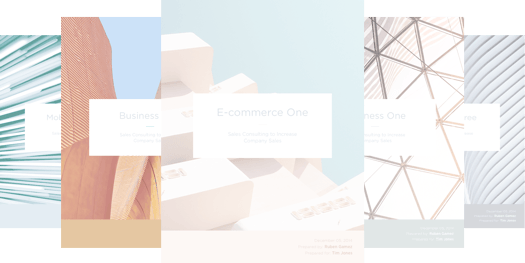 What’s a necessity for one client is a non-concern for the other, so you should create specific landing pages, copy, and client testimonials for each. This is the only time you should ‘split’ your appeal, because it’s impossible to sell different premium services with the same persuasive copy. I’ve known multiple freelancers that have a ‘Choose Your Need’ style homepage that places people on a landing page specifically built for their problem, such as the “Pick Your Poison” option on Shatterboxx’s homepage. To keep digging in to tactical advice now that we’ve covered the high-level stuff, one simple copywriting technique you can use is called the ‘So That…’ technique, and it focuses on answering why you do what you do. Remember that when selling solutions, you can’t just “sell web design” to clients, it has to be outcome-oriented. So instead of stating ‘I sell web design’ (in so many words), add “so that…” after the end and give your most specific, compelling reason. …my medical clients have user-friendly sites for their patients. …my eCommerce clients see increased sales of their most profitable items. …my startup clients can generate qualified email leads on their blog. You needn’t worry about lost opportunities (which are far fewer than you probably think) when the ideal opportunities you are chasing are solid. I don’t worry about missing ‘freelance writing’ gigs since I only work for software startups, and Versace doesn’t worry about lost sales to The Gap. Writing a headline or a piece of body copy on your freelance site that you know a lot of people will read? There’s a 2-step checklist that you can use to make sure it’s up to snuff. When evaluating the What’s in it for me test, you (unsurprisingly) need to spell out what’s ‘in it’ for your client. The next step is to decide if the information would keep a client up until 2am. I’m shamelessly stealing this from Jon Morrow, and to further elaborate on this point, I want to list some examples. Conversely, losing customers because their site is too confusing or difficult to navigate is a concern that keeps them up at night, and probably has caused a few gray hairs as well. Answering these 2 questions seems stupidly obvious in hindsight, but most people only get to step 1 (and some don’t even make it there!). One is a command, the other puts you at ease, and it’s easy to see which one best addresses the concern of trust that a client may have before hiring you. We have some great tools available to help you get started. 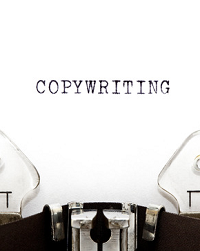 Take advantage of this free copywriting proposal template. If you want a more comprehensive explanation of how a copywriting proposal should be organized we have a free eBook that describes all of the steps involved. Once you’re done with that, fill out our free copywriting proposal worksheet, and get started! I’d love to hear some of your best advice on assembling persuasive copy for your freelance site! Leave your thoughts by adding a comment below.